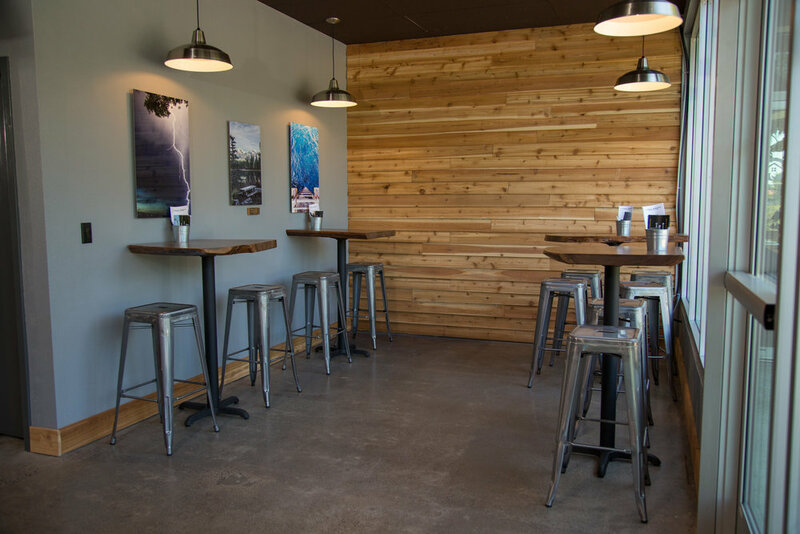 Final Draft Taphouse is a craft-beer bar in Vancouver Washington featuring 30 rotating craft beers, craft cider and wine, and a small food selection. We offer the community an entertaining, welcoming, community craft-beer bar to gather to learn about and enjoy high quality, local craft beers while connecting with existing and new friends. Need an Event Space? Reserve our Back Room at Final Draft Taphouse! We have a sweet back room space in our taphouse that is perfect for small parties/get-togethers! It's perfect for a work or staff party/get-together, networking event a space to entertain your clients, and would be great for a birthday, anniversary, engagement, OR holiday party! The event space holds up to 30 people. If you’re having a larger event, we would even consider renting out the entire taphouse just for you! We will get in touch with you about availability and to coordinate details! ***Availability dependent on normal flow of business. Back room is great for groups! This is our Couve Brew Bevy gathering that meets up monthly! Site Design by Jeremy Backer Design Co.